Giving people knowledge is only the first step in development. To impact behavior and have corporate learning lead action, the content itself must be effective. When you want to develop people, sharing and improving knowledge is just the beginning. The final goal is to transform knowledge into real-life skills, behaviors and attitudes. For example, simply understanding new management models is not sufficient. People should also be able to transform these insights into real practices and demonstrate real measurable change. If you want to reinforce operational excellence, only understanding the lean mindset and being able to recognize waste in your processes won’t do the job. People need to be empowered to take action to improve. 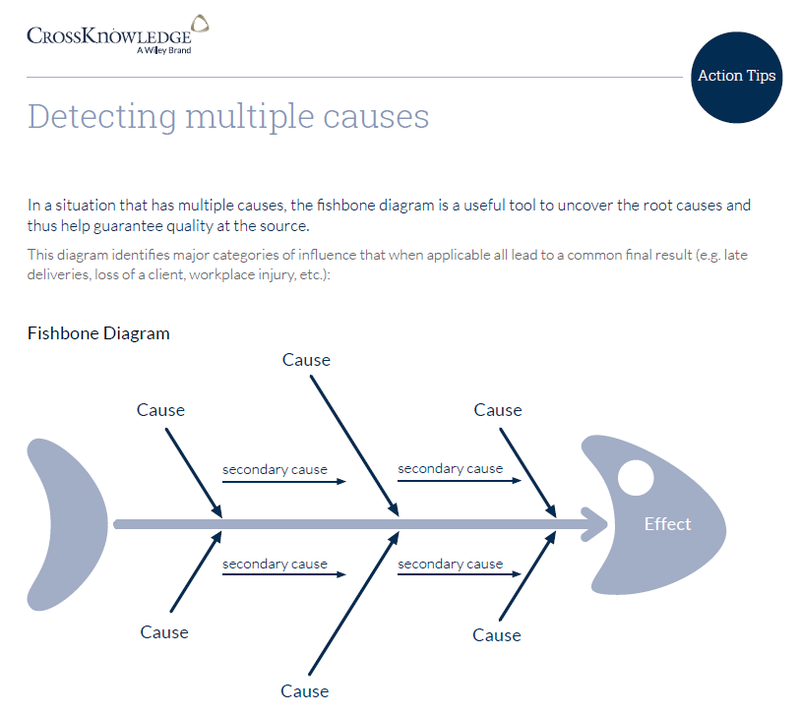 With the CrossKnowledge Action Tips, you can easily put principles and theories into practice. Use the CrossKnowledge Action Tips on a standalone basis or complementary along with CrossKnowledge Sessions and Essentials to optimize the learning experience. Nowadays, in highly disruptive times, organizations need to change rapidly. Strong forces such as globalization, digitalization, and rapid demographic changes demand a strong ability to cope with change. To guide smooth organizational transformation and operational excellence, organizations have to prepare and engage their learning workforce. To boost knowledge, skills, behaviors, and attitudes, the CrossKnowledge Action Tips is key.